You can uninstall PC Cleaner Pro from your computer if you no longer use it or if you want to free up space on your hard disk. 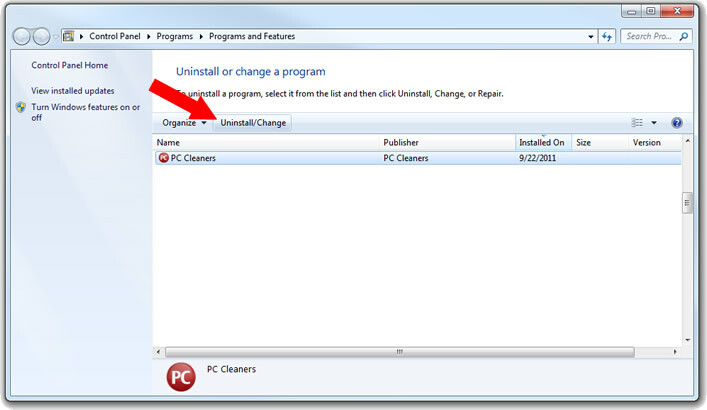 You can use Programs and Features to uninstall PC Cleaner Pro or to change the program’s configuration by adding or removing certain options. 1.) Open Programs and Features by clicking the Start button , clicking Control Panel, clicking Programs, and then clicking Programs and Features. 2.) Select PC Cleaners, and then click Uninstall.